Railblazer's gameplay is infinite and completely replayable. Each tile the player places is added to the map, and replaced with a new one. 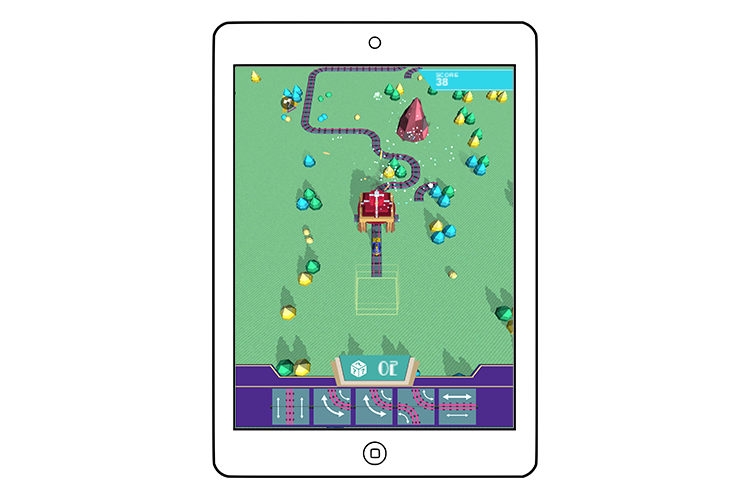 Railblazer is available on iOS and Android. There are two competitive scoreboards, for the highest score and longest loop track. 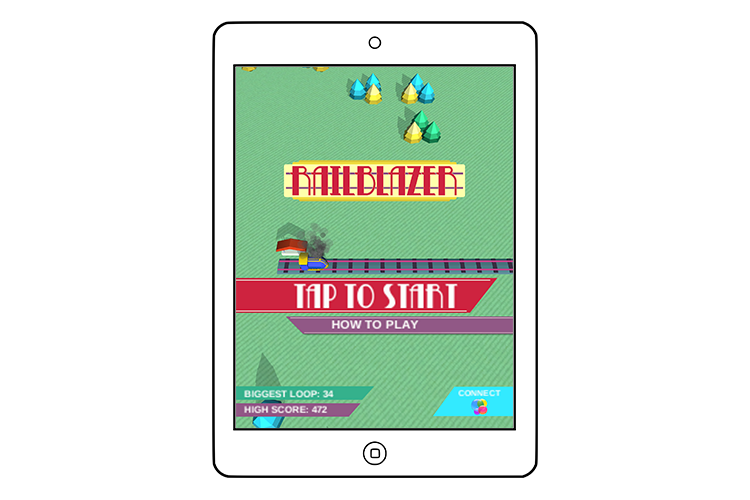 Railblazer is a simple arcade-style game. The player has five tiles available to them, which may connect to the north, south, east, or west adjacent tiles. The train starts, and the next empty space is the active tile. When the player taps on an available tile, it is places in the empty space. 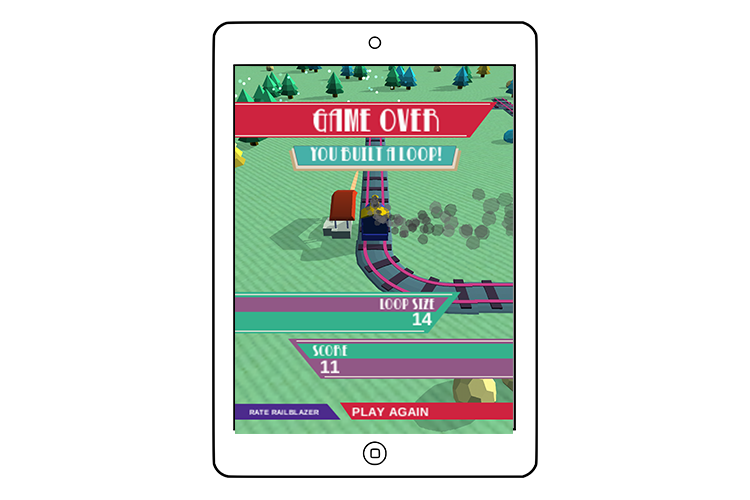 If the player places a tile that doesn't match, or if the track leads into an obstacle, then the game is over. There are stations on the world which the player can visit by connecting their track to the station's existing cross-tracks. When the player passes through the station, they gain an extra reroll. When a player uses a reroll, all five of their available tiles are randomized, and the train pauses briefly, in order to give them a moment to think. There are two scores tracked in the game: highest score and longest loop. Placing a single tile gives only one point, and going through a station gives a few more. However, linking up with a previous placed tile gives one extra point between the first time the tile was used and the newest. So revisiting old sections of track can be very worthwhile. 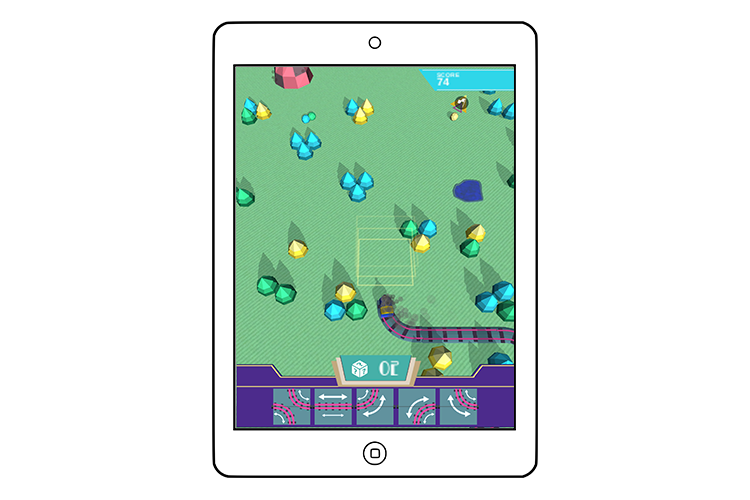 The player can even return to where the game began, and create a closed loop. Both of these scoreboards are tracked globally.